When you are ready to learn how to sew a dress, adding suede trim is a way to make a simple creation look amazing and stylish. Suede trim can be an inset, such as shoulder panels on a western-style dress or an office suit-dress, or you can add suede fringe to a bohemian dress or an 80's-style big-shouldered dress for a fun retro touch. Not all dress sewing patterns are styles that will look right with suede trim, because suede is a heavy material, commonly added to fall and winter clothing. Suede is available in any color you want, though, so you can easily add it to a spring or summer garment as an embellishment and have the dress turn out really cute. The dual layers of heavy fabric match up nicely and make the combo easy to work with, however, suede fringe trim can look really beautiful on a dress made from light, floaty material if you match up the colors and the fringe is cut narrowly enough to move and shimmy when you are wearing the dress. 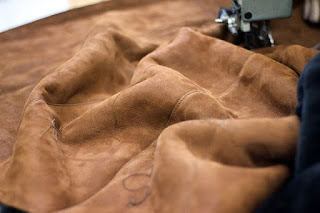 Ideally, you will want a leather needle to sew suede trim on a dress. For most suede trim that you can add to a dress, such as a suede fringe, a simple line of top-stitching will give you the best result. 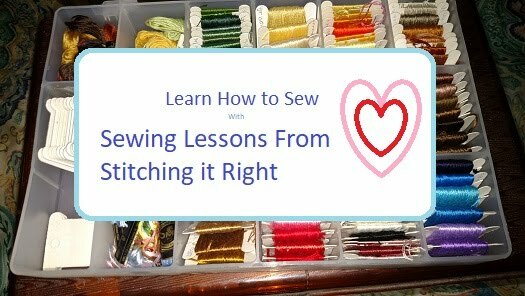 If you are sewing inset trim pieces, such as in the shoulder of a western-style dress, top-stitching is a way to finish the seam and give the piece a sophisticated touch. If you are using a real suede hide to make the suede trim for your dress, you won't be able to toss the dress in the laundry, you will need to have it dry cleaned when it gets dirty. If you are using synthetic micro-suede, you can either have the dress dry cleaned or wash it in the gentle cycle with wool wash instead of detergent.